the application form and remaining Rs 1500/- after completion of two months. 2. Fee is to be paid to NIPHM through RTGS (wire-transfer). The certificate course has 24 modules and will be offered in three months, every month 8 modules. 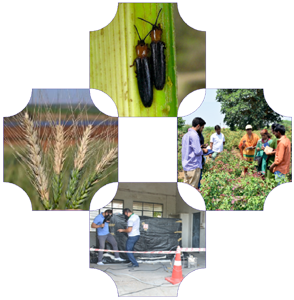 Reading materials on each module covered under the programme will be provided to the students.The course will cover plant biosecurity, International regulatory framework, plant quarantine system, import legislation and regulation in India, import and export procedures for consumption, propagative material, bio-control agents and germplasm, post entry quarantine facility, impact of introduced pests, emerging threats, pest risk analysis, phytosanitary treatments, survey and surveillance, detection and diagnosis of insects, plant pathogens and weed seeds, pest incursion management, regional harmonization of phytosanitary measures to safeguard regional biosecurity.